In January this year, spectators at the New York Museum of Modern Art were mesmerised by a solo dancer: it was 51-year-old Belgian choreographer Anne Teresa De Keersmaeker, in her 20-minute Violin Phase. To music by Steve Reich, she performed on a square of sand, like a little stretch of beach stranded in a gallery. As the dance went on – rigorously geometrical, with flashes of shy humour and humanity – her footsteps began to form a ragged roseate pattern, like a flower blooming in the desert. Asch – or, to give its full title, Asch, the stunned amazement of a small, wilful girl and a big, injured pilot, a theatre project in which the performance of a dancer and an actor meet – was new to De Greef in several ways. “It was by this new, unknown artist,” he says. “It wasn’t really like a dance: there is movement in it, but the performers act. And it was performed in a different place, an old glassworks building.” Violin Phase was another surprise: though prefigured in one section of Asch, it was an altogether different kind of work. Exactingly danced and rigorously composed to reflect the iterative structures of Reich’s music, it might be called a theatre project in which the performance of a dancer and a musician meet. Music, theatre, dance, performance, composition – with hindsight, you can see that the essential components of her art form were to become the abiding themes of De Keersmaeker’s work; characteristic too, was her ability to switch register between one piece and the next. At that time, of course, no one knew what was to come. “There was no plan, no long-term vision,” says De Greef. “We were young, dynamic, we just wanted to do things our own way.” As director of the Kaaitheater festival in Brussels, he helped to present De Keersmaeker’s first professional work in 1982, Fase: Four Movements to Music by Steve Reich, an expansion of Violin Phase performed by De Keersmaeker and her former Mudra colleague Michèle Anne De Mey. 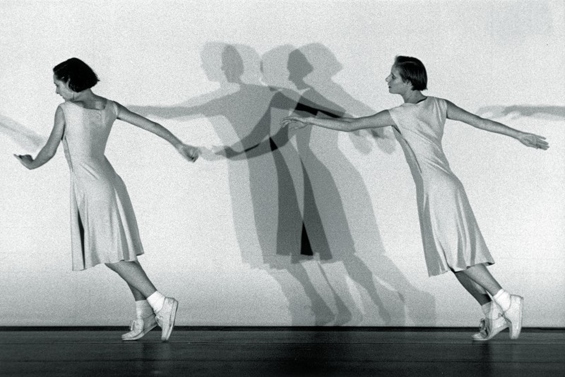 De Keersmaeker founded her own company, Rosas, the following year, at first for women only, and including men from 1987. Supported by Kaaitheater during its first decade, Rosas grew rapidly to become a flagship national company, taking up residence at the opera house De Munt/La Monnaie in Brussels from 1992 to 2007, though its path was not always smooth (in 1988 the entire Mark Morris Dance Group, then resident at the opera house, pointedly clattered out of a performance of De Keersmaeker’s dance-opera Ottone, Ottone). De Keersmaeker’s ascendance also heralded a remarkable flowering of Belgian (particularly Flemish) contemporary dance, comprising choreographers such as Alain Platel of Les Ballets C de la B, Wim Vandekeybus and Jan Fabre. De Keersmaeker set up her own school, PARTS, in 1994, which has become an important international centre for dance and arts education; Sidi Larbi Cherkaoui and Akram Khan are among the choreographers who have passed through its doors. 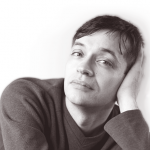 Within a few years, Belgium had become a world player in the field of contemporary dance, with an influence that extends far beyond its borders. The Belgian “new wave” was, for example, one of the inspirations which made Alistair Spalding, the director of Sadler’s Wells, decide to move out of theatre and into dance in the early 1990s. It’s true: the tide of time washes over dance very quickly. Dance leaves traces like footsteps in sand, and seeing De Keersmaeker’s early works lets us divine a pattern in them, lets us feel their imprint again. A difficult choreographer with a popular following, a minimalist with a tendency to dramatise, a reticent person with a lot to say … Anne Teresa de Keersmaeker is a fascinating contradiction.